Dr. Grannas receiving the 2014 ACS Award for Excellence in Teaching in the Chemical Sciences (Philadelphia Section). 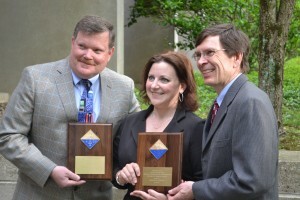 HS Teacher of the Year, and collaborator, William Smith is on the left. 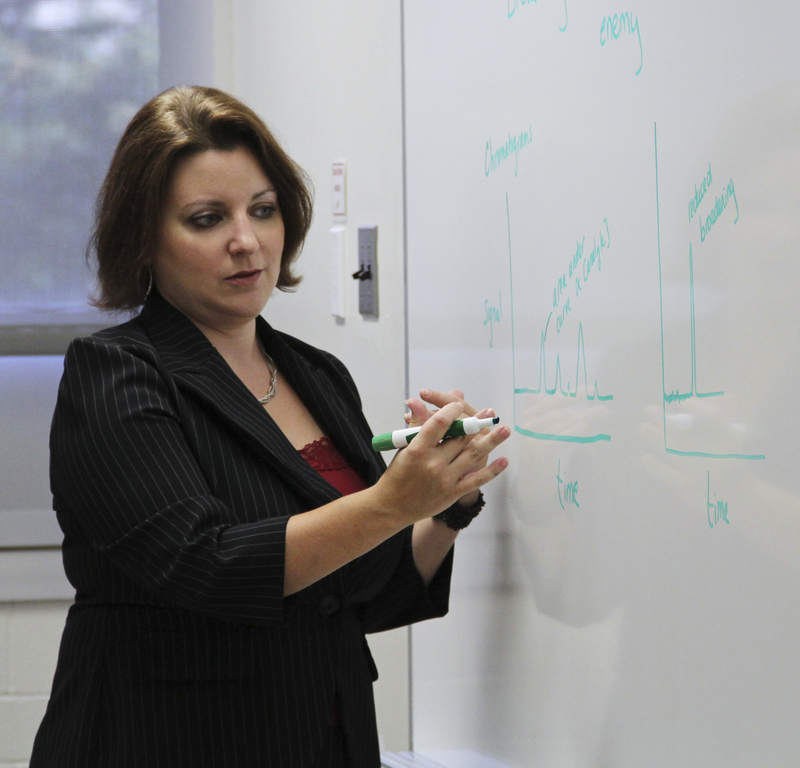 In 2017-2018, Dr. Grannas will not be teaching courses due to her appointment as Associate Vice Provost for Research.